Happy St. Patrick’s Day! 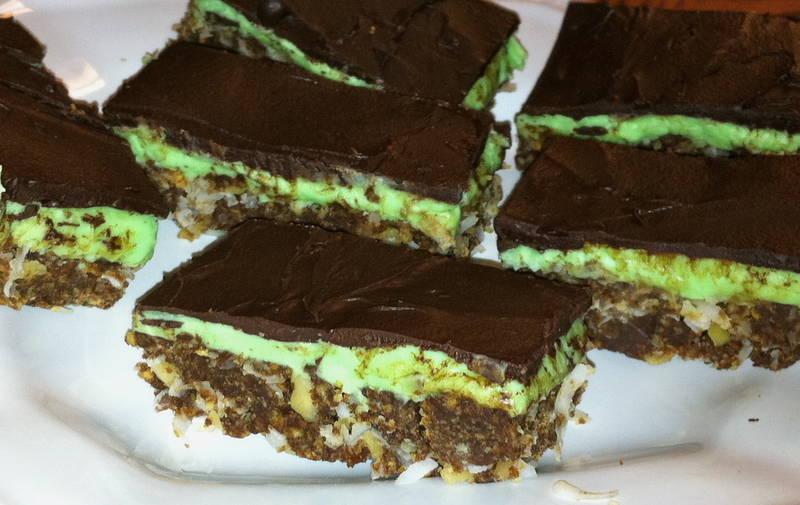 In celebration I decided to make a traditional Canadian dessert with a touch of Irish flair. I’m still a Canadian girl at heart. 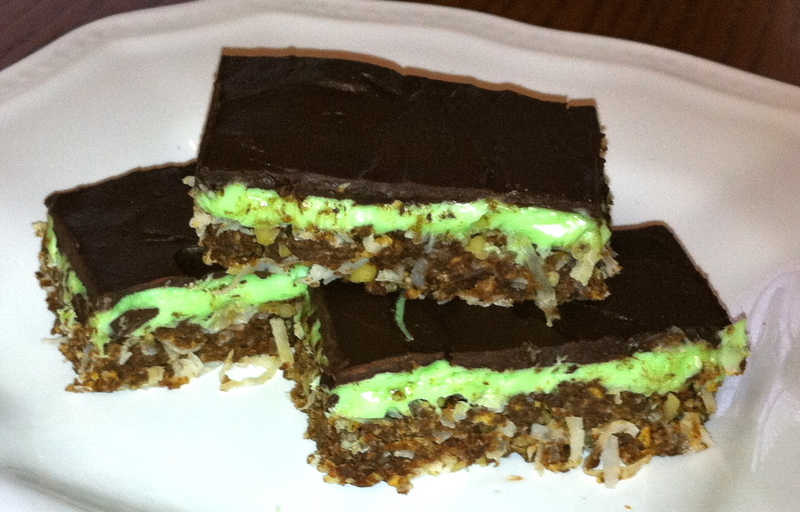 Nanaimo Bars are a very popular dessert in Canada. They get their name from the lady who invented them who was from Nanaimo, British Columbia on Vancouver Island. They may not look like much in the picture but my husband and son will attest to the fact that they are DELICIOOOUS! Ooowy, goowy, good. The recipe is adapted from Kraft Canada’s recipe. 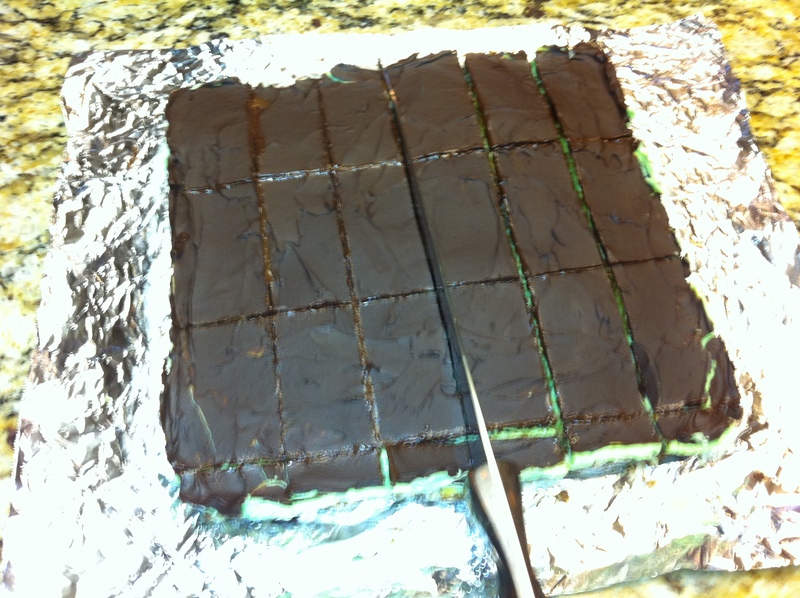 Bottom Layer: Begin by melting butter and chocolate squares in microwave--approx. 1 minute and 45 seconds. Put into saucepan and let cool slightly. Gradually add in 1 beaten egg and vanilla. Add the egg slowly and gradually bring up the heat to medium. If you heat too quickly you'll end up with scrambled eggs. 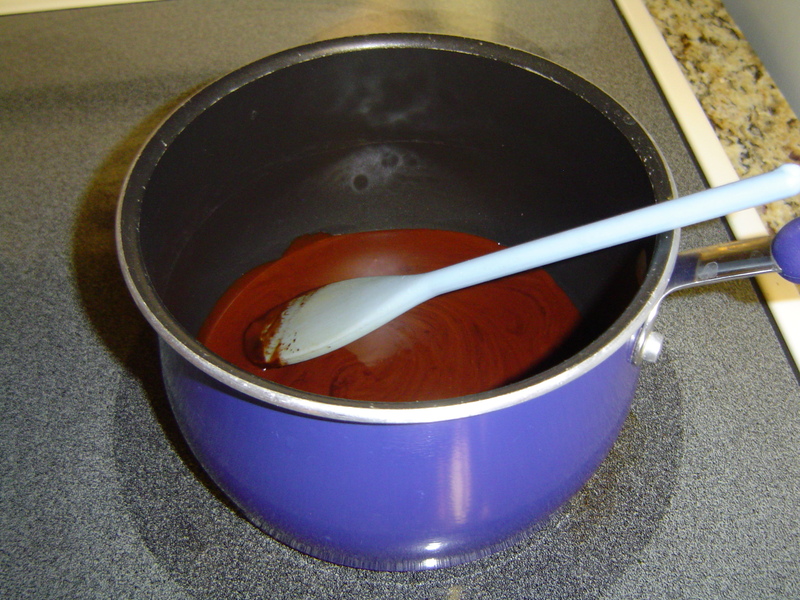 Cool chocolate and egg mixture for 2-3 minutes to ensure egg is cooked. 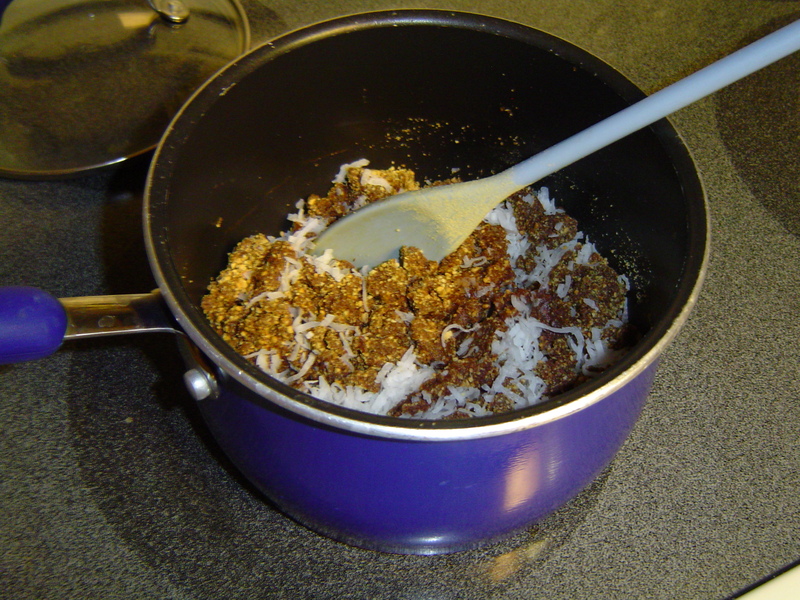 Stir in graham cracker crumbs, coconut and walnuts. Press into 9 x 9" pan lined with tin foil (the tin foil will be important later--be sure it is folded over on two sides as you'll use this to remove the bars later). As an alternative to cooking the egg and chocolate mixture on the stove you could just mix the above ingredients, press into pan and bake for 8 minutes at 350 degrees. Refrigerate until cool. 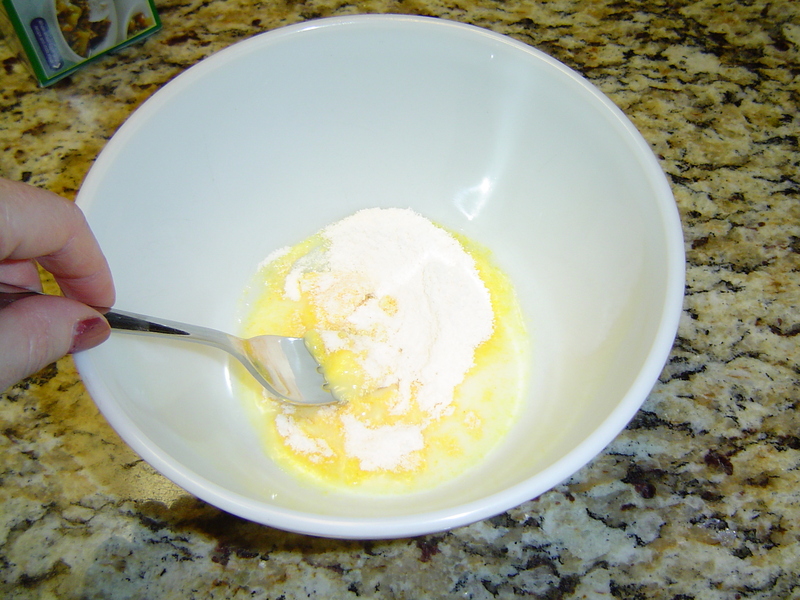 Middle Layer: Once the first layer is cool, whisk together the milk and custard powder for the second layer. 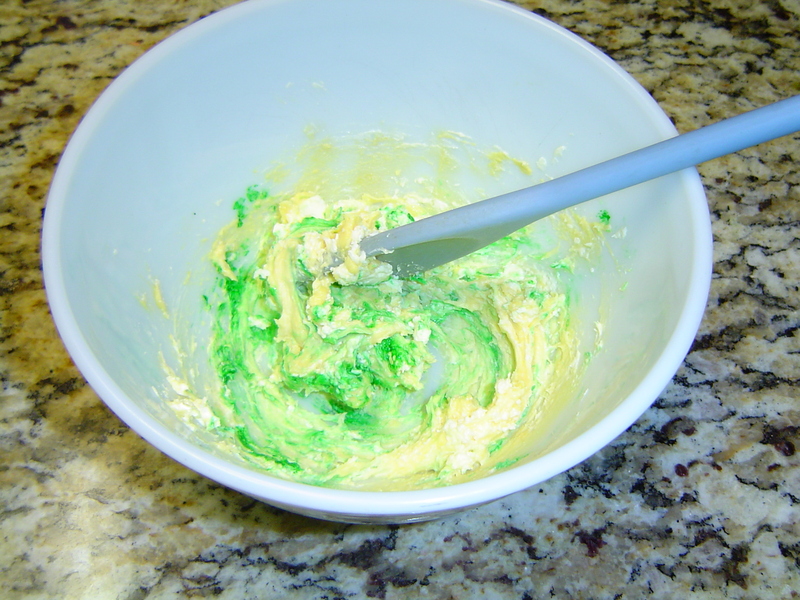 Mix in butter, vanilla and green food coloring. Gradually beat in icing sugar until well blended. Spread middle layer filling over first layer. 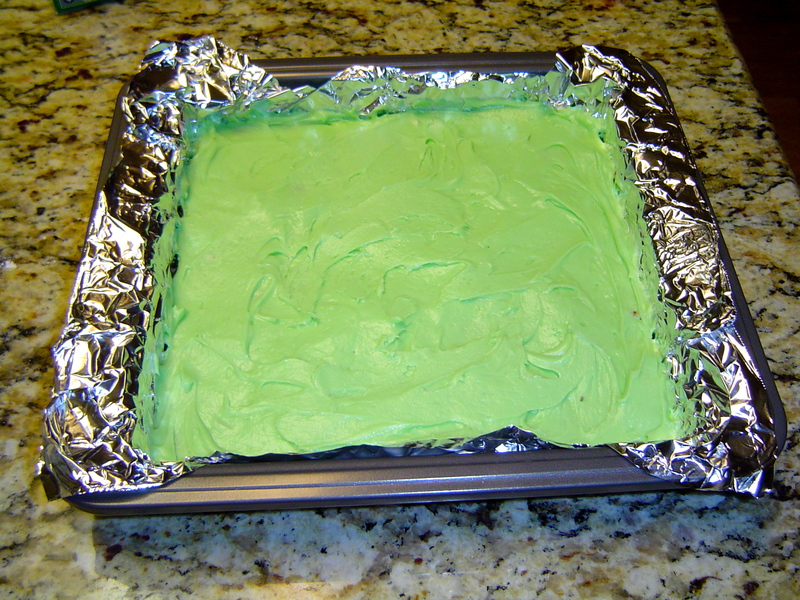 Refrigerate until well cooled - at least 30 minutes. 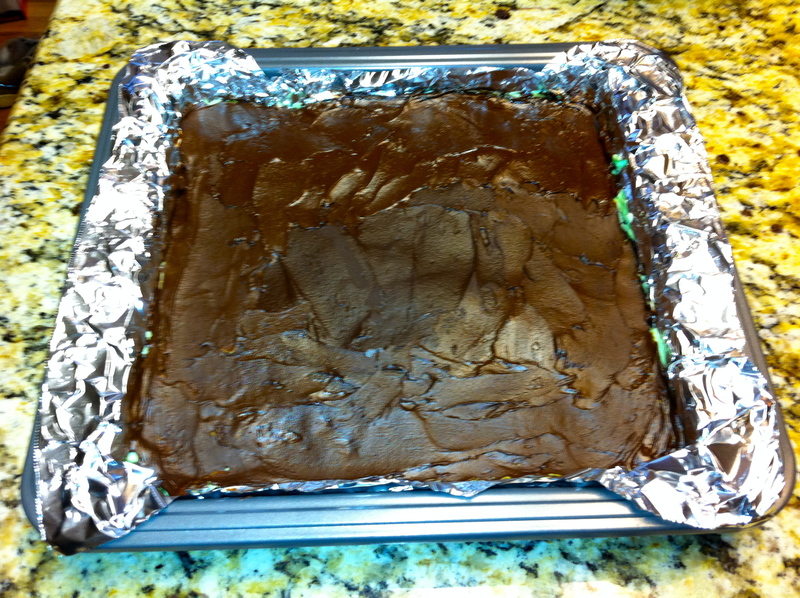 Top Layer: Once second layer is well-cooled, melt chocolate squares and butter for third layer in microwave. 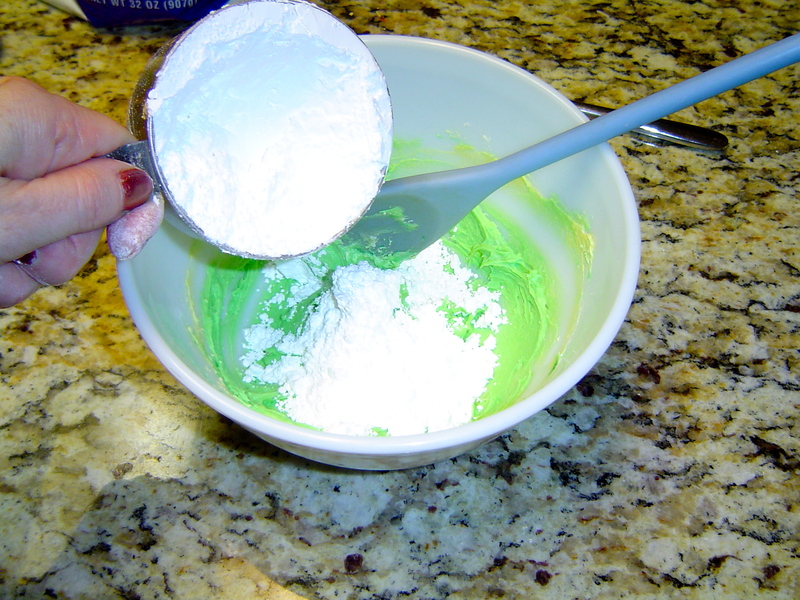 Make sure it is completely melted, mix well, and then pour onto second layer. I don't think I melted mine enough so it ended up going on a bit like icing. Refrigerate for several hours. 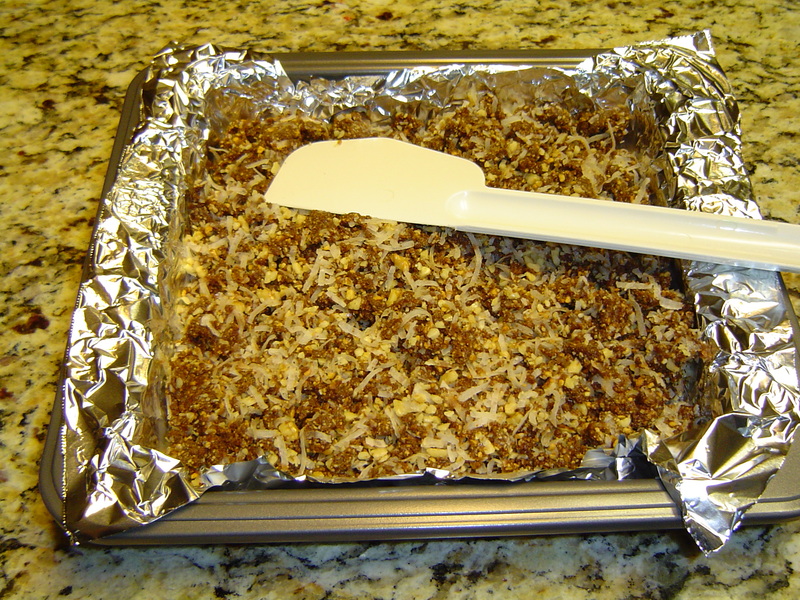 Use the tin foil to lift the Nanaimo bars out of the pan and place on the counter. Dip a large knife in a pan of boiling water to heat the knife. Then slowly score the top chocolate layer by letting the knife melt into the chocolate where you are going to cut them. Dip the knife in the hot water as needed. 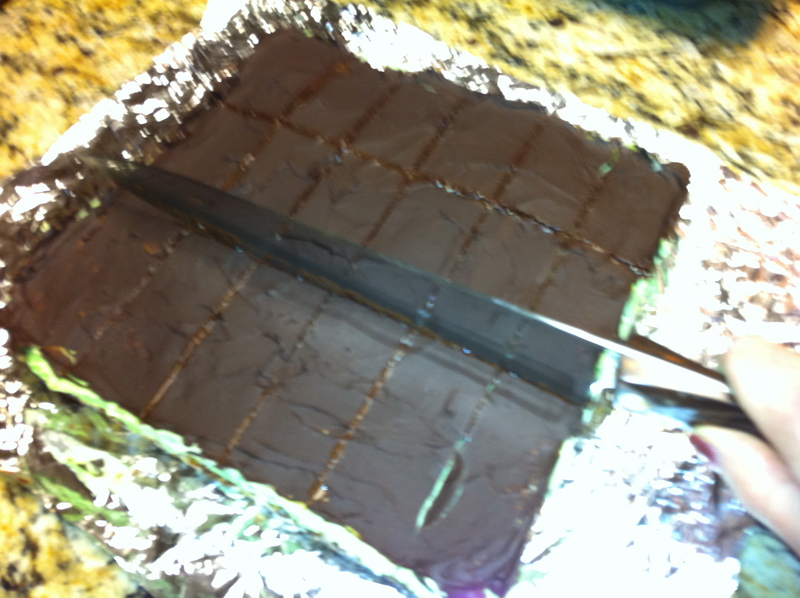 This step of cutting through the top chocolate layer will prevent cracking when you cut the bars.